← The US Government and Vaccinations: Why Would Anyone Trust Them? HALT! College is not a NECESSITY! College is not a necessity. College is not the only way to come by knowledge. College is a poor, or nearly impossible, manner in which to gain experience. Why do folks like Bernie Sanders push College? College practically has zero value. I know folks who have Masters level degrees in Communications who can barely write complete sentences. 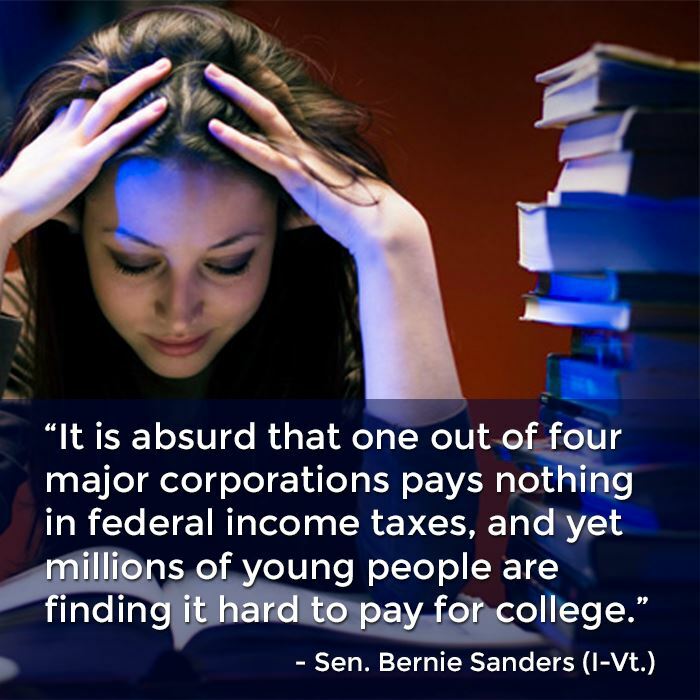 College, college, college….the reason that college is so expensive is that people like Bernie Sanders and his cronies are pushing it on the masses as some kind of necessity. College is not a necessity. Skills are necessary. The majority of vocations could be learned via On The Job training. A college degree will help no one become a carpenter or a plumber. For most people a college degree is a waste of 4 years and tens of thousands of dollars. A better education can be obtained from the local library. Yet, Bernie Sanders and those like him wish to expend millions, if not billions, in tax dollars to send people to an institution of “higher learning” to obtain a piece of parchment which is largely useless to most Americans. Sanders is attempting to force millions of Americans into pursuing a degree which most will never use and which most never needed in the first place. This “everyone needs to be able to afford College” rhetoric is dangerous. It is also one of the primary reasons that college/university is as expensive as it has become. There are millions of Americans pursuing degrees which they do not need. These persons are clogging the system while obtaining degrees that are largely meaningless.